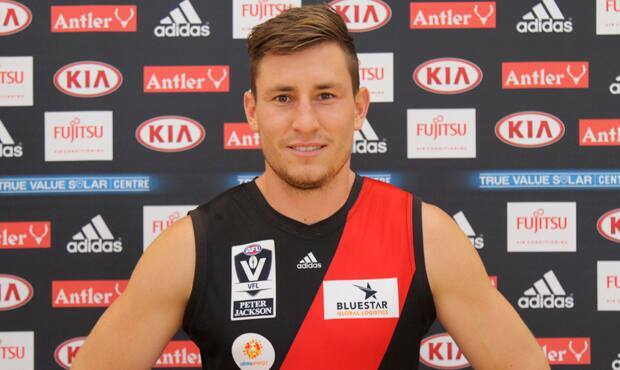 Essendon football operations manager Rob Kerr confirmed on radio station 3AW that ex-Lion James Polkinghorne had been elevated from the Bombers' VFL team and would also play in the NAB Challenge. Polkinghorne and ex-teammate Sam Michael join former Saint Clinton Jones, Mitch Brown (Geelong), James Magner and Mitch Clisby (Melbourne) and Jared Petrenko (Adelaide) as the club's other ex-AFL recruits for the NAB Challenge series. Polkinghorne joined the Essendon VFL team at the end of 2014 after being delisted by the Lions.